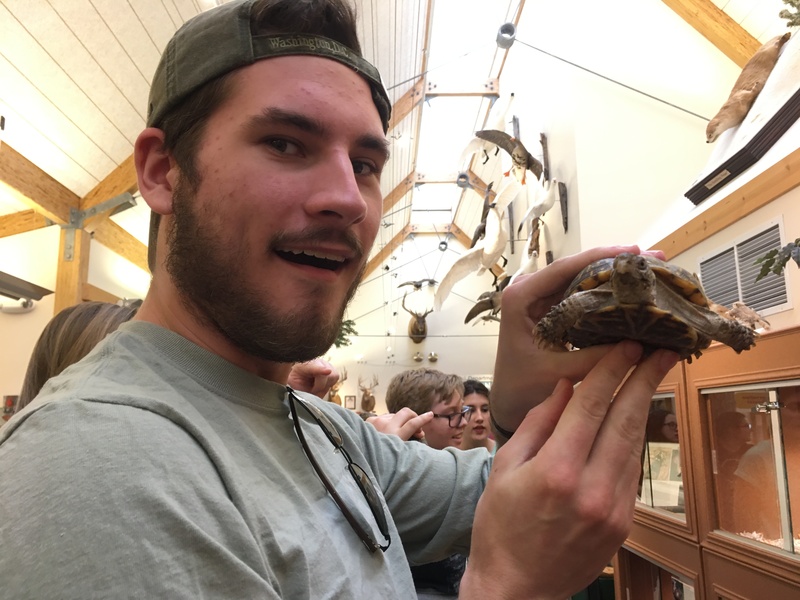 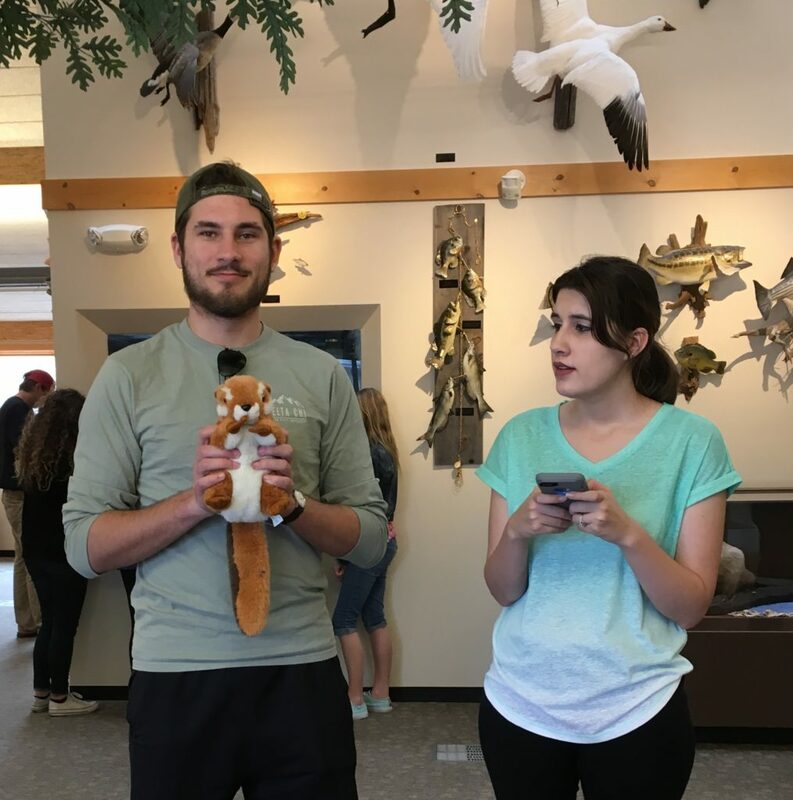 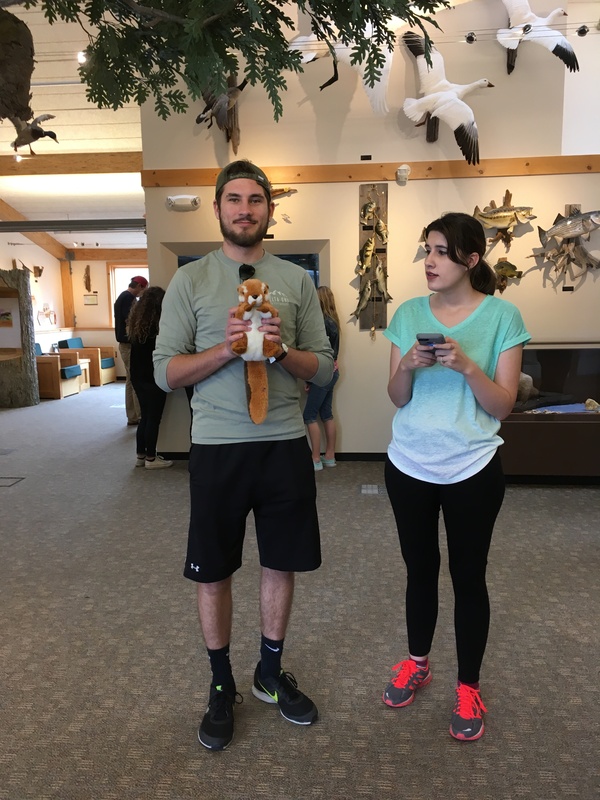 In both the Biology Department lab and the Department of Conservation Visitors Center students had the opportunity to work on getting over their nerves with some of the creepier members of the local animal population. 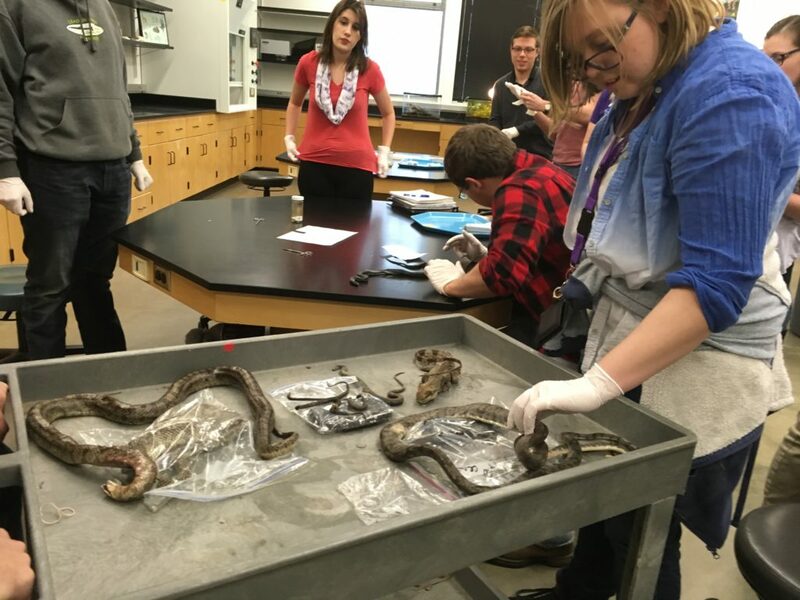 Students select specimens from Truman State University’s collection of dead snakes and other road-killed reptiles. Corin Hoke listens to instructions on how to inject specimens with formaldehyde as part of the preparation process. 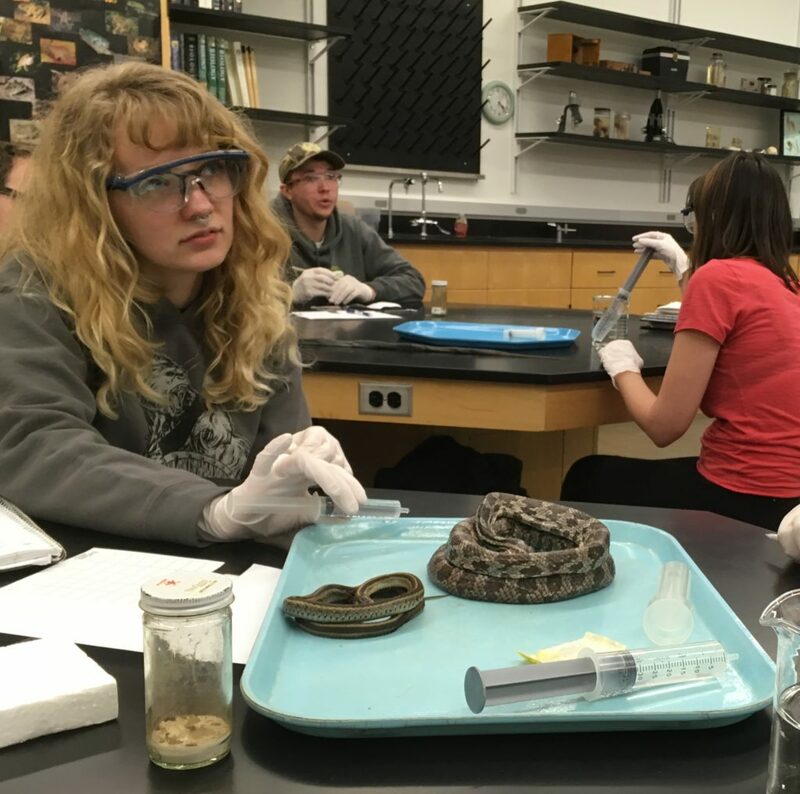 Dr Chad Montgomery and Dr. Laura Fielden, both in Biology, led this workshop for the class. 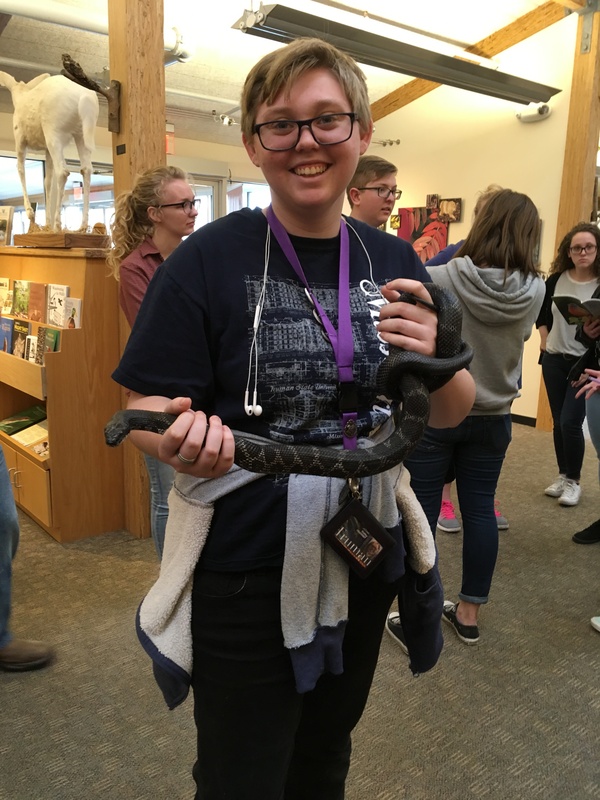 Jo Ratley shows off a snake, part of the living collection at the Department of Conservation Visitors Center just south of Kirksville.